New Listing: 2012 Sun Rivers Drive, Sun Rivers, Kamloops, BC 729,900. Welcome to this lovely rancher located in Ironwood Estates of Sun Rivers. 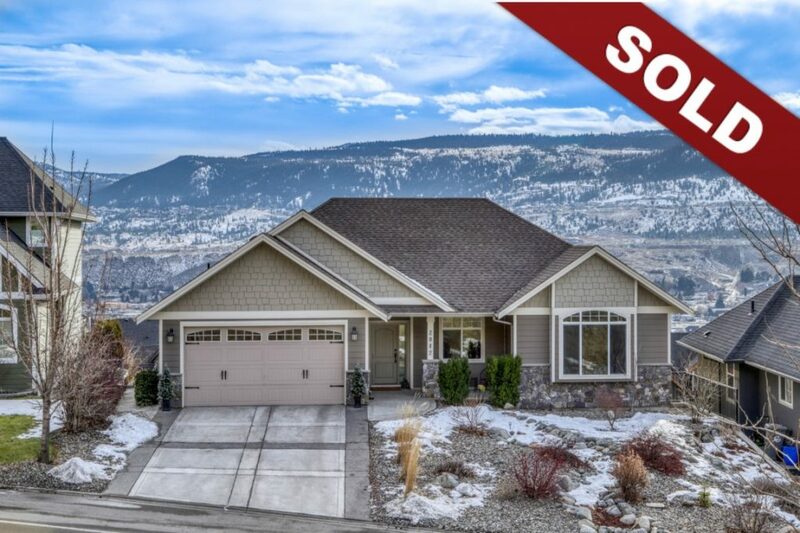 On the main floor you will find a bright and open concept living room, dining room and elegant kitchen that opens up to an oversized covered deck with panoramic views of the city, river and mountains. The laundry room & double car garage are located directly off of the kitchen. Three bedrooms on the main floor including spacious master bedroom with walk in closet, ensuite and french doors leading out to deck. Downstairs you will find two additional bedrooms, third bathroom, media room with large windows allowing lots of natural light to enter and plenty of storage space. Generous size yard, fully fenced and includes hot tub. This home is in pristine condition and move in ready. It won’t last long! Book your appointment today.